The X335 series post-mount style spotlights feature a 6" LED composite lamp rated at 225,000 candlepower, 12 volts, 30 watts and 50,000 hours of lamp life. Each LED has its own indiviually focused reflector for maximum intensity producing a uniform, precise 9 degree vertical by 9 degree horizontal beam pattern with a warm beam color. Meets SAE J591 Spotlamp Standard. 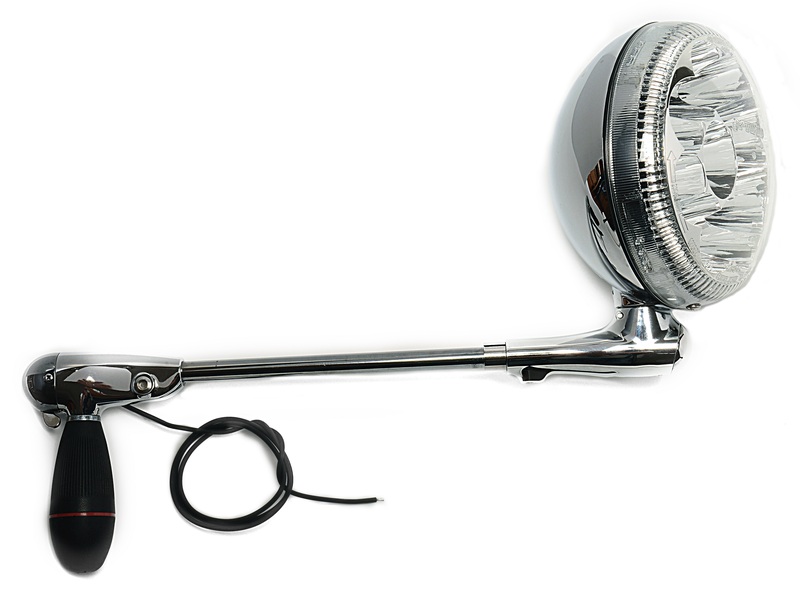 The lamp head has a UV hard-coat poly-carbonate, replaceable lens; precision molded PC reflector and a nickle plated zinc die cast heat sink. The X335 series head assembly is made of high impact PC/ABS with black or chrome finish and is vented with a GORE-TEX® Membrane for cool operation. 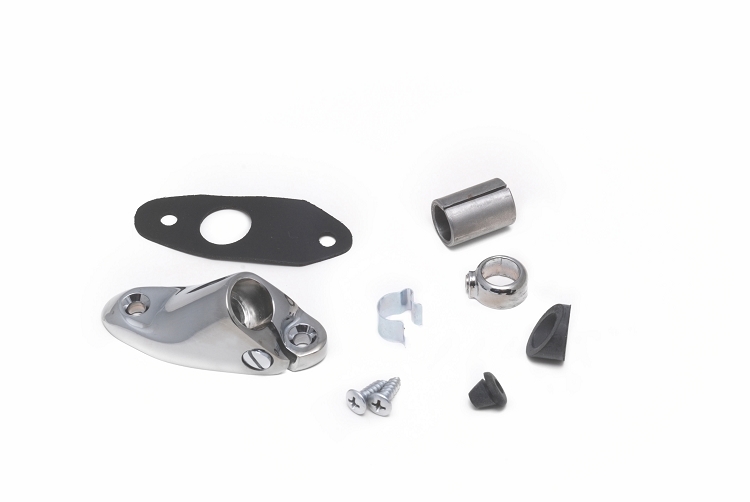 Installation kits include mounting bracket, fasteners, gasket, drill guide, trim pieces, locating template and complete instructions for do-it-yourself installation. We are working on it. We have a ton of vehicle applications and are working to get them all added. Feel free to use the questions section of this product listing to request your vehicle be added to the next wave of vehicles. We will just need the make, model, and year of the vehicle. Color of spotlight is only referenced to the head of the light. The rest of the light and installation kit do not have multiple color options. W/O Air Curtain: application should not be used on vehicle that has a air curtain (side air bag in the A pillar). Spotlight can interfere with deployment of air curtain. Application Unavailable: We were unable to make a spotlight application for this vehicle. There was either an issue with safety, issue with function, or the light just wouldn't be able to fit on the vehicle. All options must be selected to generate the correct part numbers and place an order. This listing is geared towards the United States market. For customers outside of the USA please note that driver side and passenger side may be different in your country, these reflect what is used in the USA. Vehicle makes, and models may also be different in other countries. Q: is this led unit compatible with Vauxhall Insigna 2011. Right hand drive USA equivilant model would be Buick Regal 2011? A: Our engineers have found that a spotlight can not be mounted on a 2011 Buick Regal due to interference with side air curtain deployment. Q: I WORK FOR DELCOLINE IN MARYLAND WE ARE A DELCO DIST. I'AM INTERESTED IN BUYING SPOTLIGTS BUT NEED TO KNOW ABOUT PRICING THANK YOU ROBERT BARNES ? A: We do not have a distributor account for either business in our system. Without one pricing is as appears on our website or as set by a local distributor. If you wish to become a distributor you will need to talk to your local area sales rep.
For Maryland that is Doug Lashley. Q: I have an old Dodge Tradesman 300 1974 Ambulance. Do You have braket for colum spot ? .I have the old lamp without the braket. A: 1974 Dodge B100-B300 Tradesman Van would use a 28 installation kit for driver side or 28RH for passenger side. 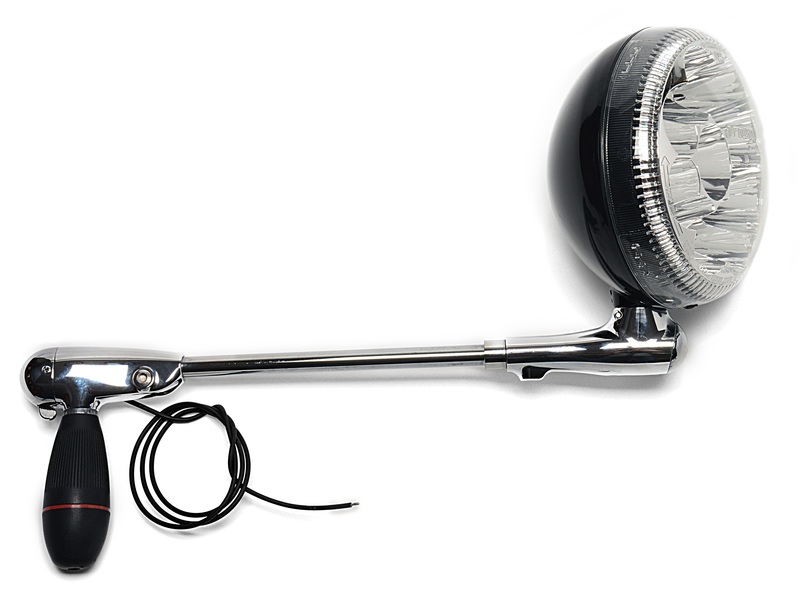 They should be used to mount a spotlight with a B length shaft.